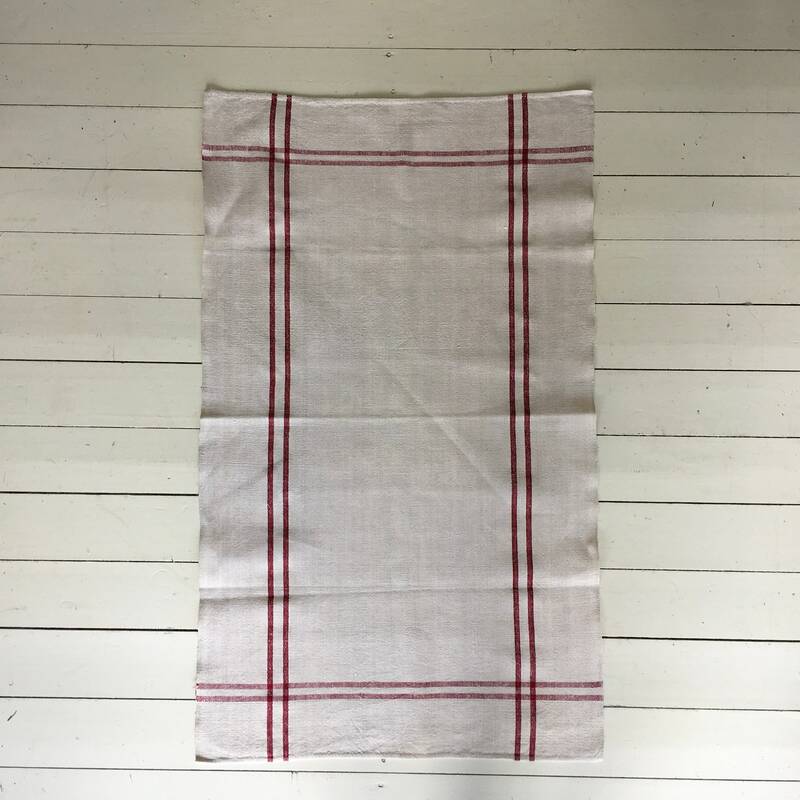 This vintage Hungarian linen tea towel has been handspun and homespun pre 1940, it is very durable, with beautiful hand stitched seams, the fabric has a wonderful texture to touch. 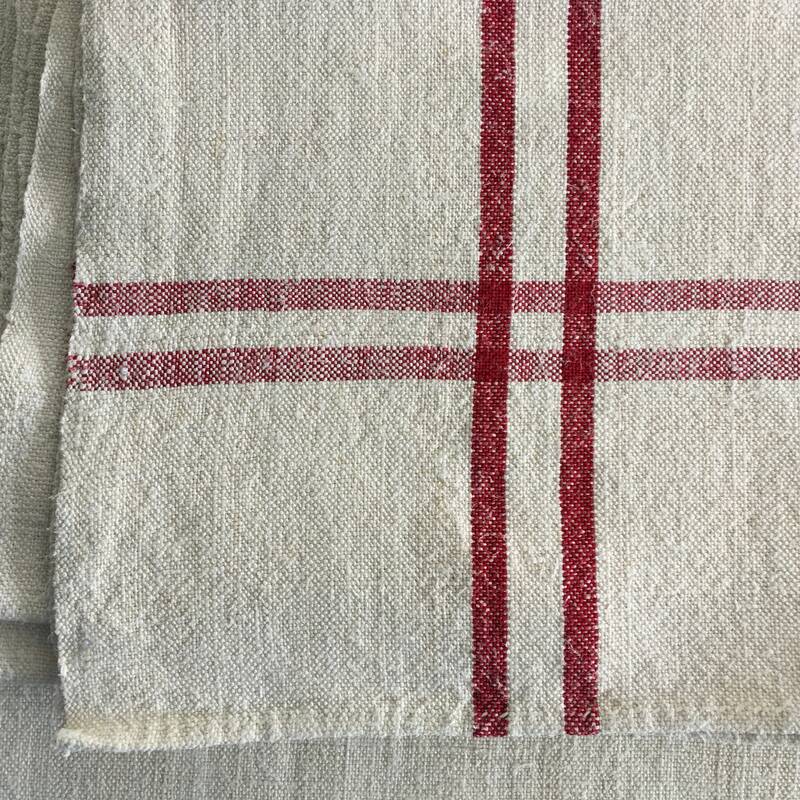 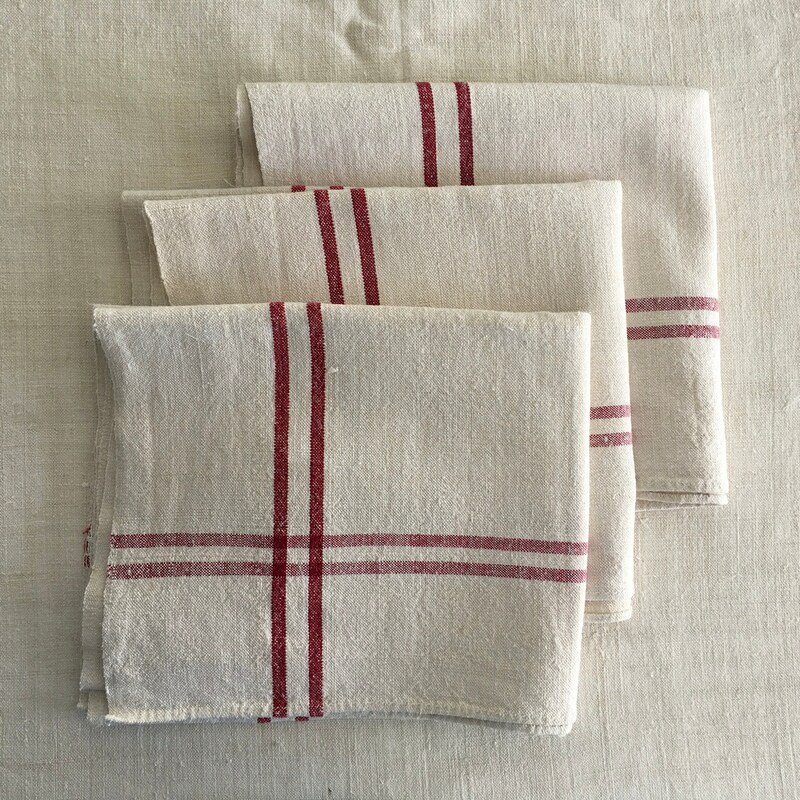 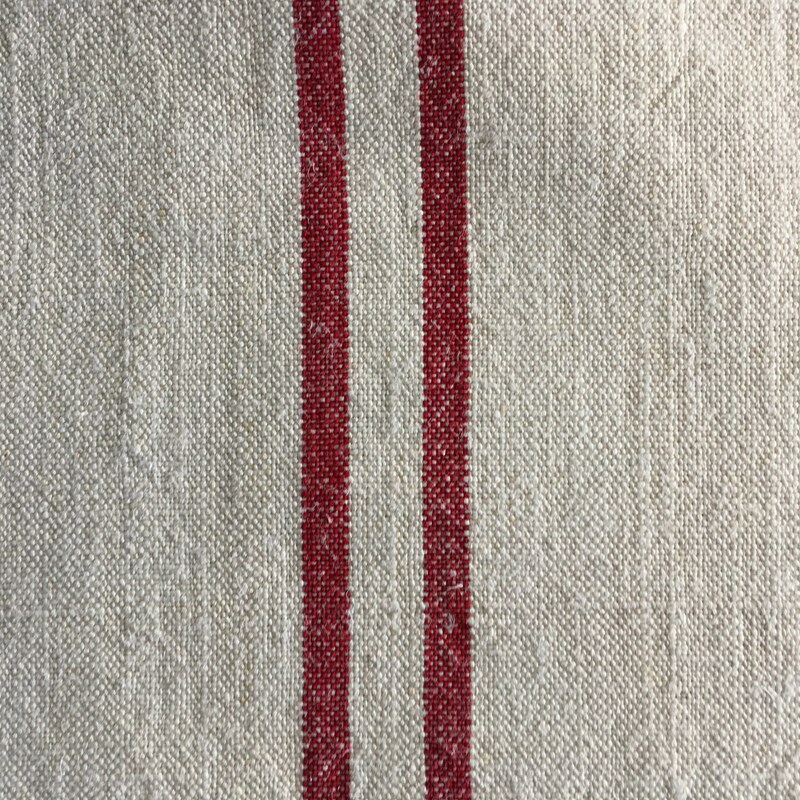 Med-weight vintage Hungarian linen, this tea towel is natural limestone and red maroon stripes woven into the linen. 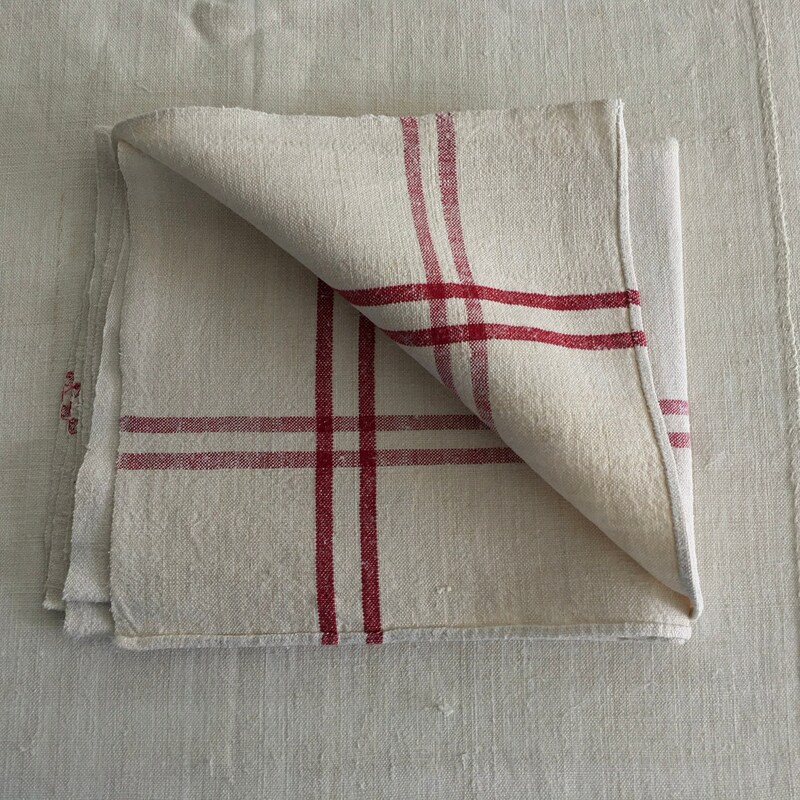 Use this tea towel fabric for upholstery projects, laundry bag, cushions, handbags, lavender bags and many other sewing projects.